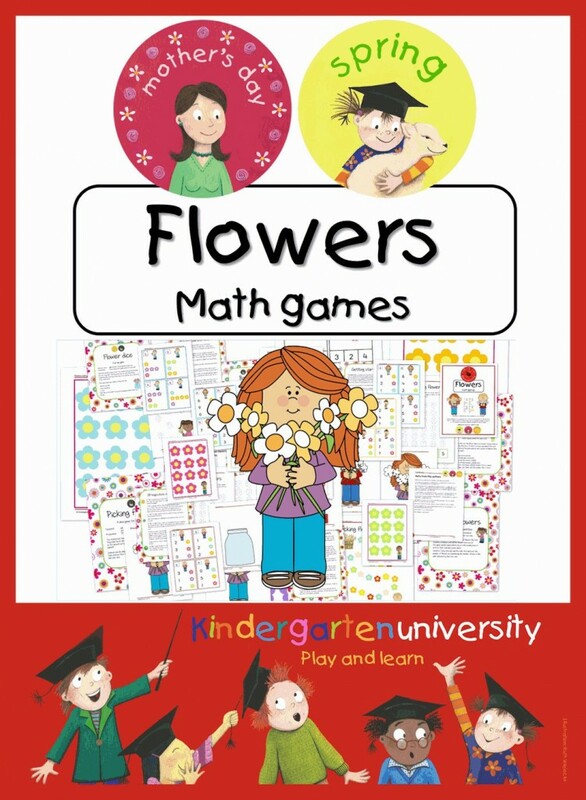 Bring flowers into the classroom with this 42 page package of flower themed math games! This flower themed math games package contains games with which the children can playfully practice counting, the colors, numbers on the dice and the number symbols up to fifteen. To top it off, there are twenty circle time actvities with flowers included in this package. Open a flower shop and let the children sell colorful bouquets of flowers. The customer visits the shop with a shopping list, a ‘Bouquet card’. On this card is shown what the bouquet should look like; how many flowers and what colors. The seller arranges the flowers into a beautiful bouquet. The necessary materials can be found with the game ‘Bouquets’. The ‘Flower fields’ are marker cards, where the children count flowers and look for the correct number symbol. They put a mark on the correct answer. A good exercise for counting and fine motor skills. ‘Picking Flowers’ is a fun game that is played with several children. The children throw the color dice and follow a route through the field of flowers. ‘Coloring flowers’ is a game in which the colors and counting are practiced. This is also the case in ‘Flower Dice’, a game that can be played together. Finally, there are plenty of flowers planted in ‘Planting flowers’. A game sheet with many variants. For group activities with flowers there are twenty suggestions for circle time. These activities are for the whole group with various levels of difficulty. 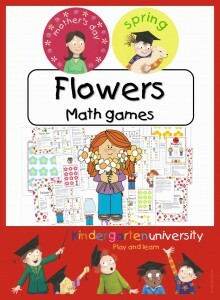 The Flowers math games package is available at TpT.